Rockstar Energy Husqvarna Factory Racing’s Martin Davalos, Jason Anderson and Christophe Pourcel made their way to Angel Stadium in Anaheim, California on Saturday as the 2017 AMA Supercross season kicked off at the historic Anaheim 1 race. Martin Davalos started his season on a high note by claiming victory in the first heat race of the season, earning him a coveted position in the 250SX West main. He was in the top three at the start of the main, stayed consistent, and kept his Husqvarna FC 250 in podium position the remainder of the race before finishing third. 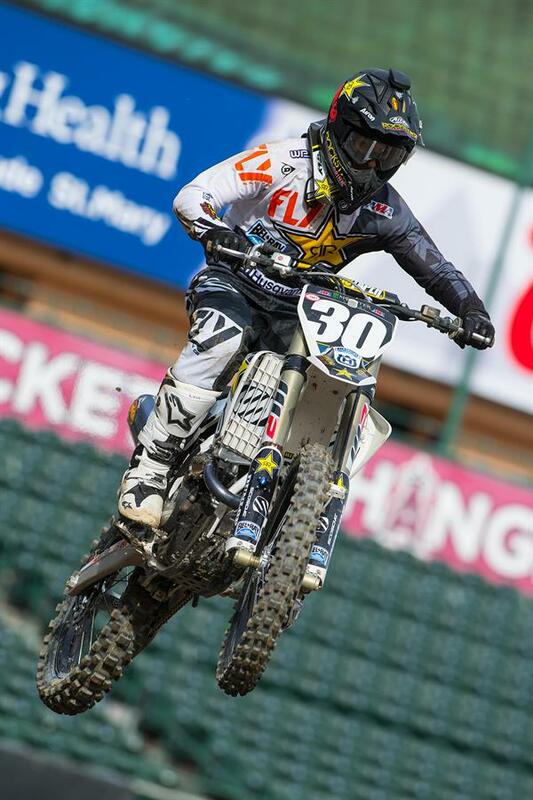 Jason Anderson qualified fourth during the 450 class timed practice earlier in the day. After pulling a top-five start during his heat, he quickly started hunting down the top three. Although he remained close to a podium spot the remainder of the race, he eventually finished fourth, which transferred him directly to the main. He rode an almost flawless race in the main by making an impressive charge from a mid-pack start to finish fourth. He nailed perfect passes and line choices and was on charge toward the front the entire race. “A1 was pretty decent,” said Anderson. “I struggled with setup earlier in the day but we made some changes and I was able to come through the pack to get fourth. All-in-all, it wasn’t too bad." Teammate Christophe Pourcel had a rough start to his 2017 season. He went down at the start of his heat race, hurting his chances at finishing in a transfer position. He was unable to make a comeback after getting pinched off at the start of his semi, forcing him to the 450 LCQ. He was top-10 at the start of the LCQ and, although he fought his way to fifth by the end of the race, it wasn’t enough to earn a spot in the main. The Rockstar Energy Husqvarna Factory Racing team will now make its way to San Diego for the second stop of the series, which will be held at Petco Park on January 17.